The AP50 polyamide window range is designed to meet the high performance demands of a modern casement window system but within financially budget restraints. 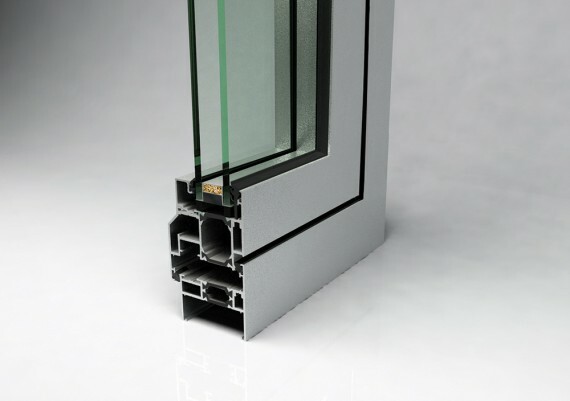 The 24mm polyamide strips create a total break in the aluminium minimising heat transfer, reducing heat loss and so maximising the thermal efficiency of the windows. Aluminium alloy 6060 or 6063 T5 and T6 complying with the recommendations of BS 7559:2001 incorporating polyamide strips. Polyester powder coated finish to BS6496: 1984 film thickness 60 microns. There are over 400 RAL or BS colours in gloss, satin or matt finish. Dual colour option is also achievable. Outer frame and sash profiles are mitre cut, cleated, braced and mechanically crimped. Includes casement windows with espag espagnolette locking or cockspur handles. The window system is designed to accommodate 28mm and 30mm double glazing and 42mm and 44mm triple glazing, externally glazed, bead for glass, spandrel panels and aluminium panels.